If you really want to work smarter, you need to start by sharpening your most powerful productivity tool. It wasn't too long ago when I was back in college ripping all-nighters and popping Adderall just to code up some stupidly simple programs, that I found myself asking the same question. I know I should be finished with this assignment already, but instead I'm sitting here sloppily tracing through the same blocks of code, wasting time trying to recall my train of thought, and peeping up every 5 seconds to check out the female who just passed my workstation. Ultimately, I was effective (sort of), but my efficiency was depressing. I felt like I was working 10x harder and longer than what my assignment warranted. I'd be lying if I said I didn't see a teeny tiny improvement, but I was still light years away from what anyone would consider 'productive'. Oh well, guess I just need to keep working harder. Time for another Addy XR & Red bull cocktail! How did this happen? I used to be the kid in high school crushing 2+ hours of homework in a 15 minute homeroom session and passing with flying colors! Granted college assignments were a bit more difficult, there wasn't that much of a disparity. I became mentally freakin' deficient! I'm not rockin' the rest of my life like this, I want my smart back! So I made it my mission to do just that. Personal experimentation, extensive research and hundreds of books in cognitive neuroscience, mindset development, cognitive psychology, nootropics, self-development, etc. later, I learned a few things. I wasn't alone in this. The more I observed and spoke with my peers about this problem, the more I realized that it was not so uncommon. It seemed as though everybody was struggling with these same productivity and cognition issues. The only difference was that for the most part, they accepted that this was just how they were supposed to operate and that was that - I wasn't as convinced. No not plastic like a toy, plastic like a malleable material. Our brain has the remarkable ability to alter and develop its own physical structure throughout our entire life. It's called neuroplasticity and it is a big deal. I used to think, like most people, we were stuck with the brain we were given. Not even close. You can improve your focus, memory, processing speed, creativity, power output, EVERYTHING! This was great news for me. This also means you can weaken these brain functions when you don't take proper care of your brain - which is precisely what I had brought about. The brain is powerful beyond measure. We have inside of our heads 3 pounds of the most astounding, dynamic, and complex material we have ever discovered in this universe - and we've discovered some pretty crazy stuff. This thing completely engineers the human experience. I can dramatically intensify my brain power and I'm sitting here playing with a plastic tomato??? We have already embraced the idea of strengthening our body for maximum physical efficiency, which is a great thing by the way, but have neglected the importance of strengthening our brain for maximum productivity. Now I'm not calling anybody dumb here, I'm saying our brains can do better. We as humans are operating severely below our cognitive potential! 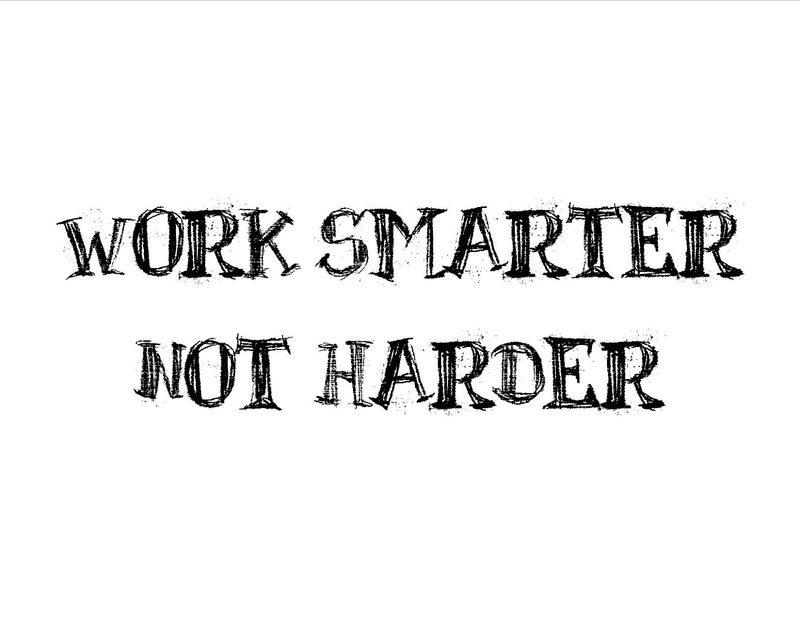 So with that said, here's a 'productivity hack' for ya: start working harder at being smarter. 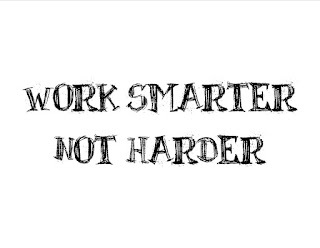 And when I say smart, I'm referring to your mental capacity, mindset, creativity, cognitive performance, etc. When you approach a task and you are equipped with sub-optimal tools, it's going to take you 2x, 3x, 5x, 10x, 100x more effort than it should. When you really boil it down, the brain is the be-all and end-all of a human's true effectiveness. And while many are recklessly trying to produce results (like I did depriving myself of sleep, popping neurotoxic amphetamines, and downing brain crippling energy drinks), they are ruining the prized asset that is directly responsible for achieving those results at a high level. You can apply all the productivity hacks in the world, but if your brain is unfocused, stressed, foggy, forgetful, despondent, unmotivated, inept, disengaged, fatigued, etc., all your energy and time is going to amount to a hill of beans. As much as I wanted to blame outside forces for my drop-off in cognitive performance, it was all on me. I misused the crap out of my brain. And if you overtax your brain, don't get enough sleep, ingest neurotoxic substances, smoke, overeat, don't drink enough water, chronically stress yourself out, then you are too! You wouldn't let your vehicle keep running constantly without ever changing the oil, replacing the breaks, swapping the tires, etc. because you not only want it to last, you want it to run in tip top condition. Your brain is the same way, except on a much larger and significant scale. It's unfortunate societal conditioning has taught us that many of these brain damaging practices such as little sleep should be held in high esteem. Often when I tell people I get my 8 hours I get a response along the lines, "you must be lazy, you sleep so much." What kind of BS is that? We are putting ourselves at a tremendous disadvantage before we even step up to the plate. The good news is that by simply doing away with the poor practices that are frying our brains, we will be causing a significant jump back up to our normal cognitive functioning. Most people's dietary patterns these days are not very brain health friendly. Deficiencies in critical vitamins, minerals, and fats are very common and are the source of many issues with cognition, behavior, and emotions. For example, if you're not an Inuit, there is a good chance you aren't getting enough Omega-3s, which come primarily from fish. These fatty acids are essential to brain health with deficiencies causing impaired neuronal growth, shabby synaptic plasticity, and inefficient transmission of crucial chemicals in the brain. Needless to say, figuring out what you are deficient in, and correcting that deficiency, either through a more strict diet or supplementation, can quickly elevate your cognitive performance. Now that you've listened to my rant, I'll leave you with a tip that's a little more along the lines of a productivity hack. I think we can all agree that we're much more efficient when our brain is not constantly distracted. Unfortunately, we have unknowingly trained our brains to seek out distractions from things such as jingles from our phone and pop up email notifications to get our dopamine fix. The reason we are so distracted is not because we all have ADHD disorder and are incapable of concentrating without drugs, it's just that we have simply developed distracting habits. The state our brain is in at any particular moment has a profound effect on our performance. So we need to clock out of the multi-tasking, scatterbrained state, and clock into the mental state of flow. Flow is the optimal state of consciousness for powering through the task at hand. You may know it as being fully in the zone. Some describe this as a feeling of ecstasy where everything else, including their identity, disappears and they are left with a utterly heightened level of performance. Have clear goals with immediate feedback - establishing a singular overall goal as well as a set of broken up goals that allow you to better measure and improve performance in real time. Prime your mind for deep focus - put your phone in another room, close out anything that doesn't help you achieve the goals from above, and put yourself in solitude (whether by secluding yourself physically or by putting in headphones). Make your task risky - you need to appeal to your brain's survival mechanism so it automatically elevates its alertness and converges its resources into resolving the possible threat while ignoring everything else. You can add your own risk by establishing clear, adverse consequences for poor performance. Just don't beat yourself up! This may take a little practice, but once you find your sweet spot, entering the state of flow on demand will be the single most significant performance enhancer you could utilize. So like I said, if you really want to work smarter, you need to shift your focus away from productivity hacks for a second and optimize the underlying mechanism implementing them - your brain.